Our sweet Aria has officially outgrown her nursery! If I wasn’t pregnant with one more baby right now I would (most definitely) be sobbing over this milestone. It seems like everything changes once they move into a big kid bed, doesn’t it? Aria is 3.5 years old, but is still so tiny. She was also quite content in her crib, not to mention we liked the security of it 😉 … But, all good things must come to an end, I suppose. 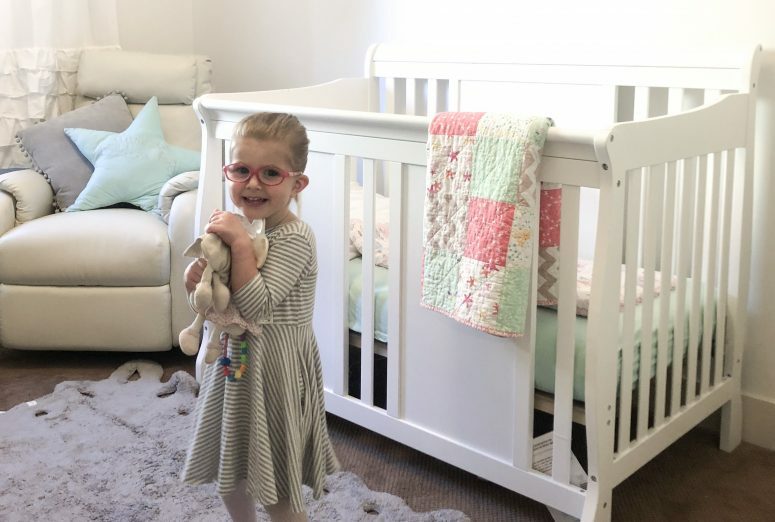 If you are preparing to transition your toddler out of their crib, read on for some advice and helpful tips offered in partnership with Sweet Lullaby Sleep! PLUS, don’t miss our giveaway at the end of this post to win a few items to help with your family’s sleep needs! 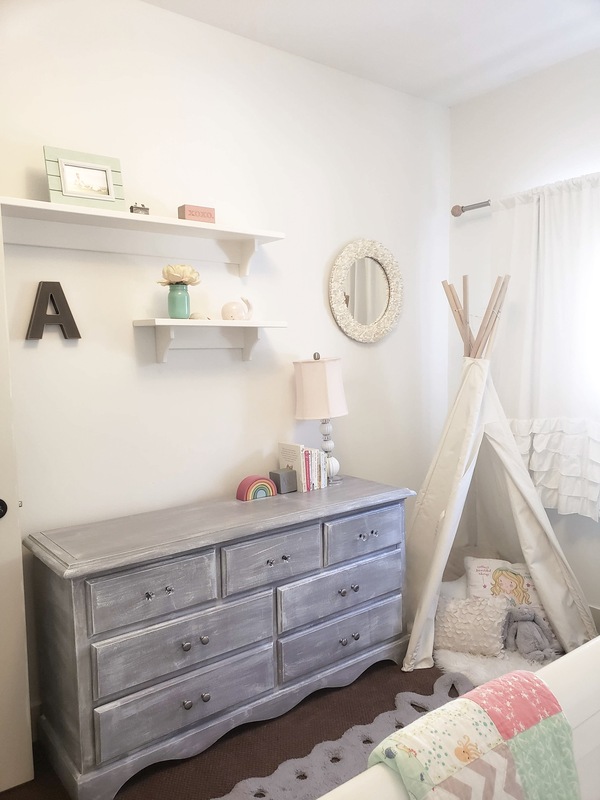 Before we launch into how to successfully transition your toddler from their crib I want to capture Aria’s nursery. The girls’ nurseries were always my favourite rooms to decorate! You can check out Vienna’s here (from my earliest blogging days!). Baby nurseries are so whimsical and always provided an extra sense of comfort– or maybe gratitude– in those early days and long nights. As in, we may never sleep again but this perfectly coordinated nursery eases the pain just a little. We decided on a nautical theme for Aria’s nursery. Given we didn’t know the gender in advance, I chose some items that would work for a boy or girl, like this nautical curtain rod hardware, grey staples like this (washable!) rug, (PS it’s on sale!) and added in the colours and unique touches later. I love how the mermaids and the mint green and coral colour scheme turned out! One of my favourite details in both girls’ rooms are the mobiles: this sweet one was custom made from Etsy. 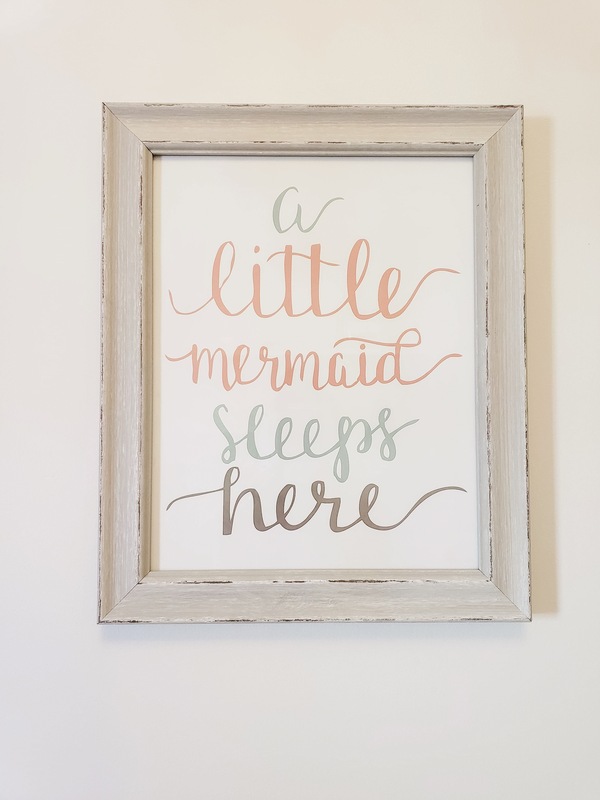 My friend who owns Mae’s Paperie made the custom print that hangs above her bed– I love incorporating personal touches like this into the room. I also have a maternity picture of me pregnant with each of the girls in their rooms. They LOVE looking at them and asking about when they were in my belly. 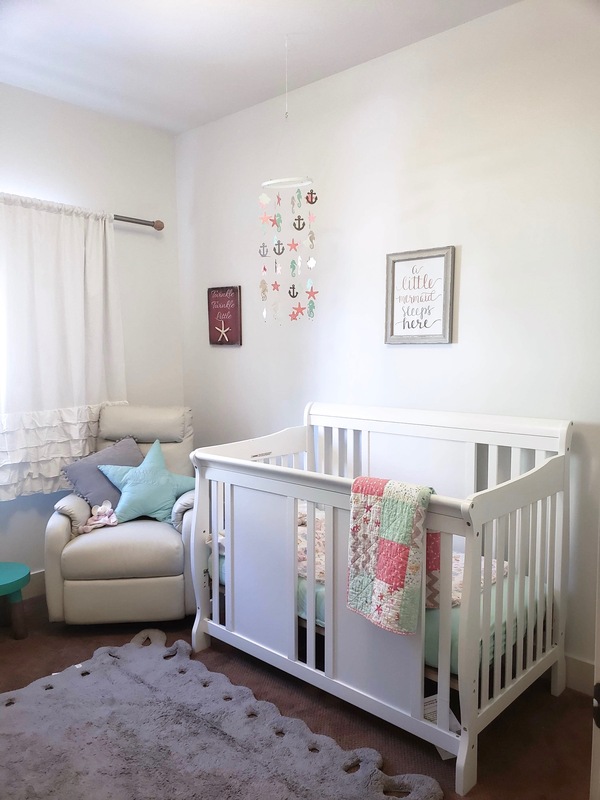 We’ve kept nearly all of Aria’s nursery the same, switching out just the bedding to our favourite cozy quilt and keeping with the same colour palette. Moving Aria to her big girl bed was surprisingly easy! 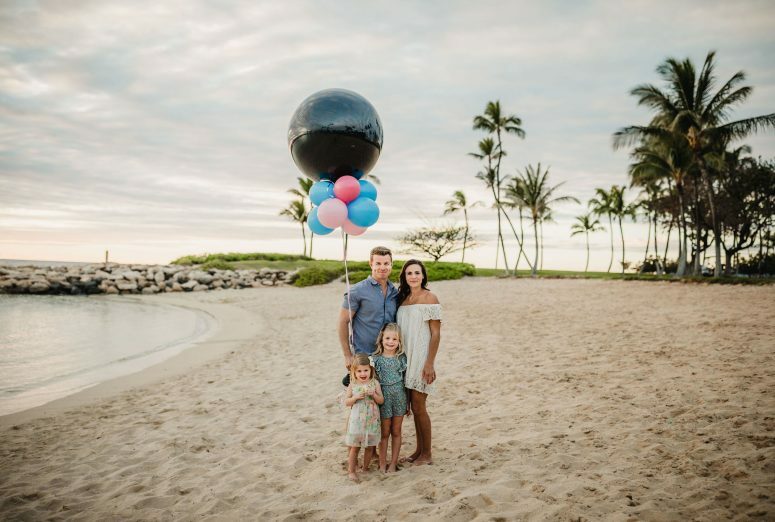 We debated on moving her earlier … there seems to be a lot of pressure to move kids at a young age and we were definitely feeling it. But Sweet Lullaby Sleep Consulting provided some reassuring (not to mention incredibly sweet!) advice I was so thankful for: let her be little just a little while longer. We decided to wait until we had plenty of time at home. We had a family vacation approaching in a few weeks and waited until after we returned home to move her. This allowed for a longer, uninterrupted adjustment period which would ultimately interfere less with her sleep habits while we were away too. And the results are one happy, excited and well-rested little girl (as seen below)! I’m in the midst of transitioning my toddler’s room now. We switched to a toddler bed a few months ago but never changed anything else. He loves the changes so far! 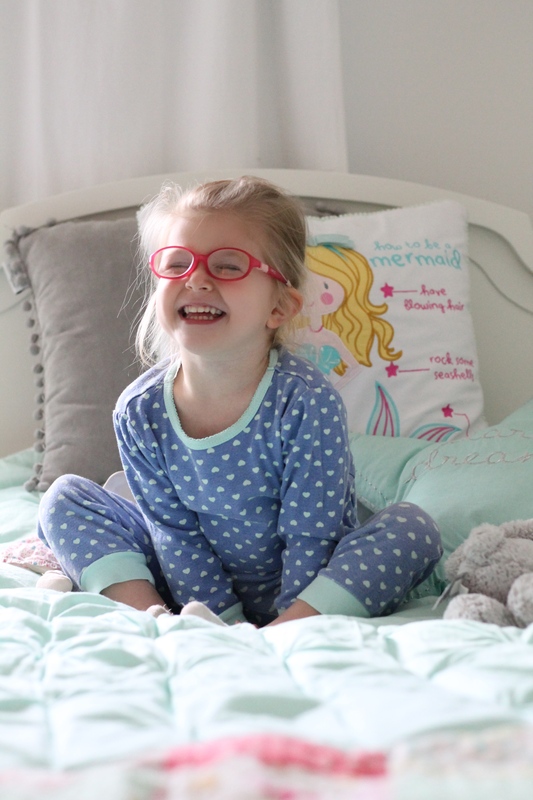 She is just darling and so is her room! Koa is a circus clown in his sleep. This transition can wait as long as humanly possible haha. However, when it is time (which may be sooner than later with his 97 percentile height & climbing abilities @ only 1 year of age ‍♀️) I will most definitely be coming to you Lisa for all the sleep help I can receive . Thanks for the tips! All great advice and boy is that room picture perfect! Thank you! Isn’t it so sweet? I love how it turned out and how happy she is! How cute is that nursery. I’m having such a hard time with my two year old sleeping in her crib only part time and in my bed the rest of the time. I have to find the proper way to get her to fully sleep on her own. 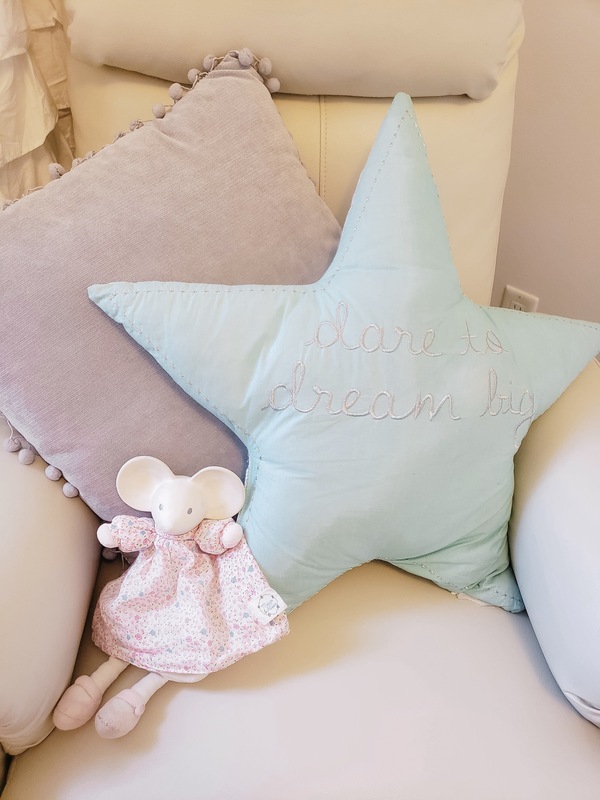 Oh yes, hopefully you’ve entered to win this giveaway, a free session with Sweet Lullaby Sleep would be the perfect prize for you! Oh my gosh, she is a cutie and that is the sweetest nursery! Congrats on her transitioning to the big girl bed :-). She looks so happy with the result! It’s rewarding for both of you to fluff up the decorating and move on with a bigger girl design. So cute! She is thrilled! And yes, loving her new space! We somehow messed this up with our last one. She never made it to the big girl room and has been stuck in our room. Eeek– hopefully some of these tips help! Each kid is unique aren’t they? I love the tee pee you selected. Such a cute room! Not at the transition stage just yet, but what a beautiful space you have created! What a lucky girl! Thanks Kristi! Scoop up these tips for when you do transition– Sweet Lullaby made it a breeze for us! It’s so fun and so hard to make that transition sometimes! Yes! We were lucky to have a very smooth transition with our girl! Awe thanks Marina, me TOO! “Let her be little just a little while longer.” is the best advice ever! I took a bit longer to transition my youngest because he was having some fears over the smallest changes. I don’t regret keeping him in his crib longer than the other kiddos. Waiting longer is just fine! 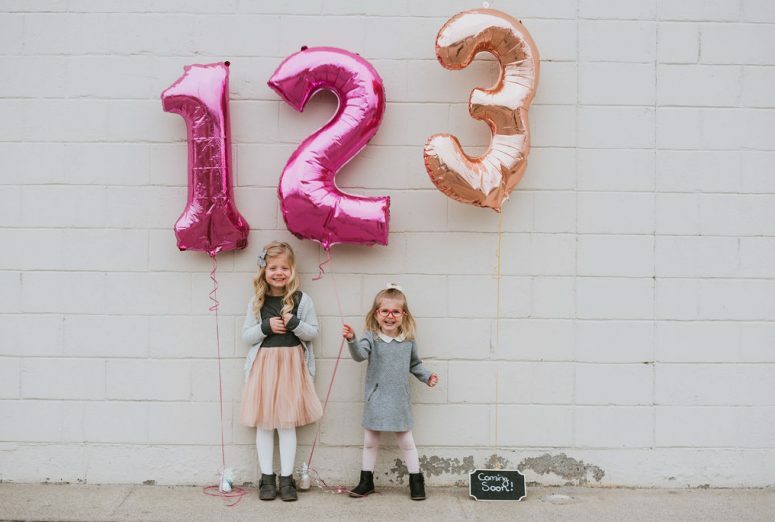 We waited until our twins’ 3rd birthday and it was seamless.